The Really Eco Baby Shop is part of a bigger company, NapNap. The main NapNap website can be found at www.napnaphq.com. NapNap was formed to promote washable nappies and to support parents who wanted to reduce their waste. Washable nappies are a fantastic way of reducing a family's landfill 'contributions'. They also save parents lots of money and are kinder to babies' bottoms. 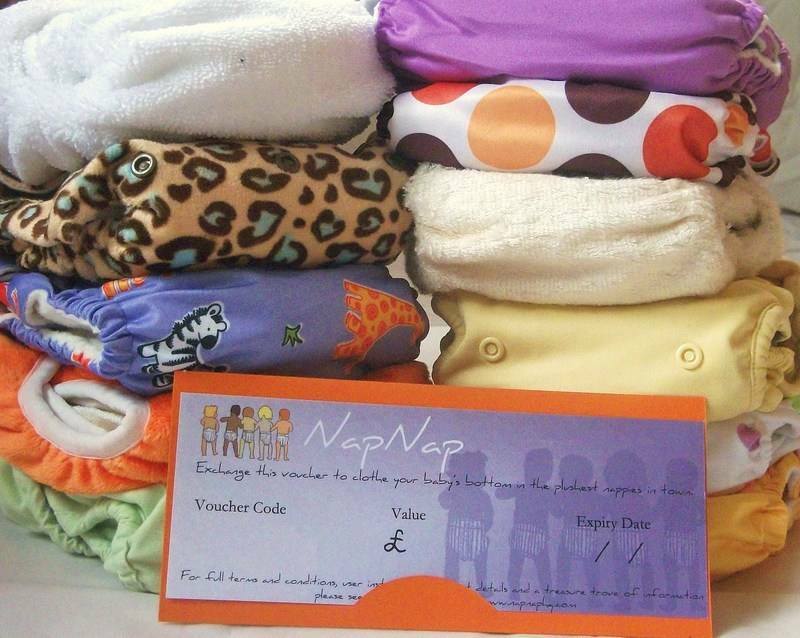 NapNap created the NapNap Cloth Nappy Gift Voucher to help parents ask for washable nappies as presents. Would you prefer 10 teddies or nappies for the life of the baby? The NapNap Voucher can now be exchanged in lots of different online stores and is the perfect present for eco, green, waste-conscious parents. Whether for a baby shower, christening, birthday, Christmas...... it will always come in very handy. It can also be added to all our gift boxes. We think it is such a great gift that if you give a NapNap Voucher to your friend/family and they do not use it (??? ), YOU get the credit back to use for anything you like at Really Eco Baby (see our T&Cs for full details). Find out more about NapNap on our website or check the NapNap Gift Voucher product page. GIVE A NAPPY, MAKE A BABY HAPPY! 1. Buy a trial kit with a few different types in it before buying a full set. You will still use them all but will discover which one suits you best. 2. Don't expect too much at first. Ease yourself in gradually. Maybe use them for one day, once a week at first. 3. It is never too late - 6 months, 12 months, 18 months..... Even night nappies for potty trained toddlers are still worth it in the long run. 4. Get lots of advice from people in the know. All the companies that accept the NapNap Voucher and NapNap itself are happy to answer any questions. Buy a NapNap Voucher for a friend today!